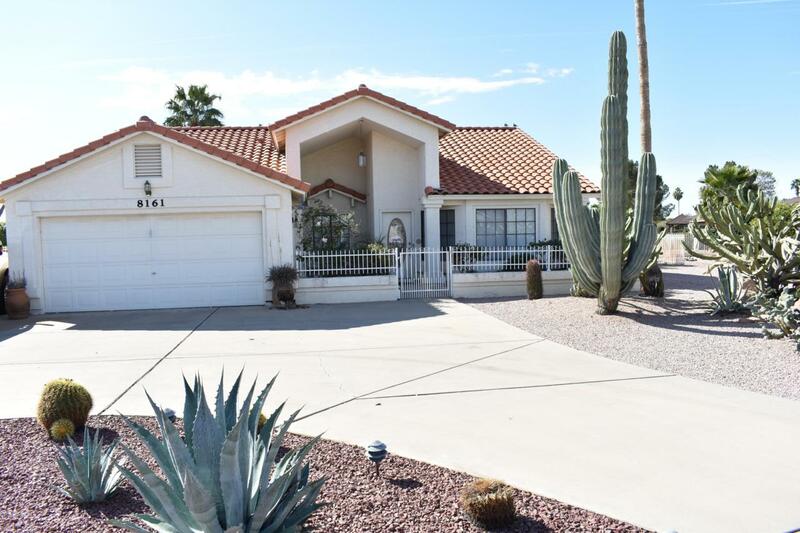 DO NOT MISS THIS TERRIFIC GOLF COURSE HOME ON A LARGE LOT (19,402 Sq Ft) IN FOUNTAIN OF THE SUN, A TERRIFIC 55 PLUS COMMUNITY. 3 Bedroom, 2 Bathroom, Large Open Floor Plan w/ Vaulted Ceilings, Large Kitchen w/ Island, Solid Wood Cabinets, GE Profile Stainless Appliances, Pantry Area, Large Master Bedroom w/ Walk-In Closet, Master Bathroom w/ Double Sinks & Tub/Shower, 2nd Bedroom w/ Good Closet Space, Guest Bathroom w/ Double Sinks & Shower, 3rd Bedroom/Office w/ Closet, Laundry Room w/ Storage Cabinets, North/South Exposure, Large Covered Back Patio Area, Diving Pool w/ Heated Spa, Extended 2 Car Garage with Lots of Storage Cabinets & Workbench Area, Well Maintained Low Maintenance Yard w/ 5 Citrus Trees, Call Today to See the Great Views from this Home! Listing courtesy of Iannelli And Associates.